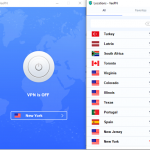 VPN or Virtual Private Network comes in handy for many things, from the ability to access content to unblock websites to stay anonymous and so on. It’s not just about doing something illegal, it’s more about the right to browse the internet in your own way. 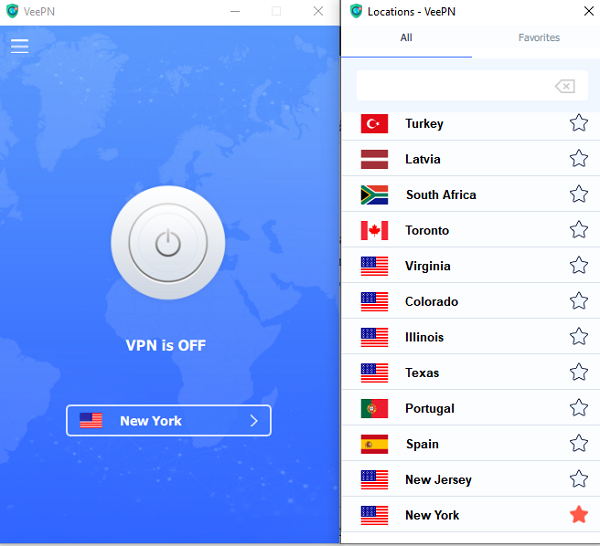 Today we are reviewing “VeePN”, a VPN service with some handy functions to make your browsing easy and safe. VeePN is a VPN service, which you can use on 10 devices simultaneously, which makes it a very cost-effective service. This VPN service not only allows you to enjoy secure and unrestricted Internet access but also runs on almost all devices. It makes sure that you carry your VPN wherever you go, and stay anonymous at all times. You can use it on ten devices under any subscription plan they offer. In short, your friends or family can use the same account as you do without paying extra. I have used many VPNs and concluded that there are a few features that any VPN should offer. The good thing is that VeePN provides almost all of them. Once you download, install and login, you get access to a list of servers you can switch between. In case you cannot find a specific city or country, simply search for a city name. You can also mark some of the locations as your favorites. Any DNS queries sent over the Internet are encrypted, and the service makes sure that there is no way to trace the queries back to you. At first, they are sent to one of VeePN’s servers, and only after that, they are connected to an external DNS. This method ensures that you are always hidden. Even if your IP is hidden, if a server logs all your queries, you can still be tracked. VeePN follows a strict protocol of no logs, which means no personal information like your browsing history, IP, location or cookies are stored anywhere. The company operates under Panama’s jurisdiction. It means no law can force the service to collect user data or hand it over to anybody. And even if somebody pushes them, there is no data to give anyway. Your VPN connection can fail, and when that happens, your IP can be exposed. The inbuilt Kill Switch feature makes sure that every time a connection drops, your Internet connection is halted altogether. The feature makes sure that when you use high-risk networks, such as a public Wi-Fi, your device is always protected despite the state of the network. 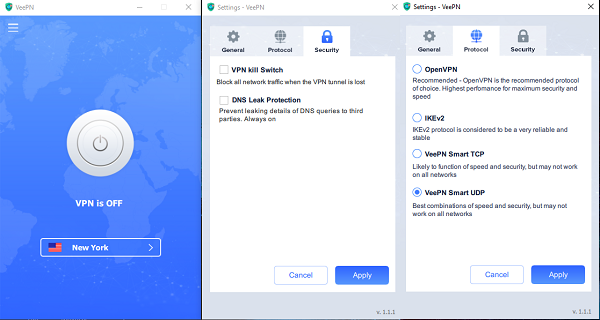 In case your VPN IP gets blocked, you can simply disconnect and reconnect, and a new IP address will be allocated. If you need to access content from different countries, VeePN’s endless server switching makes sure you can do that. The service offers a network of 2500+ VPN servers in more than 50 locations. VeePN owns them, which significantly adds to the security. The service has developed a network of 2500+ VPN servers in more than 50 locations, all of which are privately held by VeePN Company. With VeePN, you can switch servers just in one click and enjoy unrestricted and secure access online at the fastest speed. A VPN with restricted bandwidth and speed is of no use to anyone. VeePN makes sure you get access to high-speed servers, and there is no limit on how much content you can consume daily. I also checked the speed using Speedtest.net, and I had almost the same speed. Also, there were only one or two connection drops. The only drawback is that the ping time increases. VeePN uses 256-bit encryption, makes sure your connection is secure on public Wi-Fi, and with Kill Switch in place, you are protected. If your connection drops, the feature interrupts the Wi-Fi. It makes sure data is never sent over an unencrypted network. The software also offers multiple protocols, which include Open VPN, IKEv2, VeePN Smart TCP and Smart UDP. The software also provides their in-house protocol–Smart VeePN–which allows surpassing any geo-restrictions. VeePN is available for $10.99 per month or $5.83 per month if you pay upfront for a year. And if you want it for the long term, a single $99 payment can get you five years of subscription. Combine this with the option to use it on ten devices, and the service becomes almost free. I have seen a lot of VPNs with multiple device features, but very few offer 10 devices under one subscription. It is available for all platforms including an extension for Chrome, Firefox, and Opera. It can even be configured on routers. Overall VeePN offers a great feature package for an affordable price. Try it and if you like it, grab the 5-year offer.